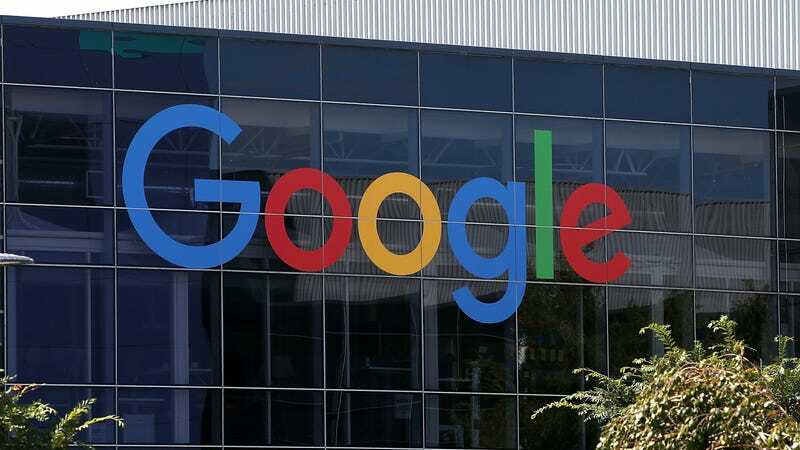 In April, the US Department of Labor accused Google of gender pay discrimination. The tech behemoth denied the allegations, and when the DoL requested historical salary records from the company, Google argued that the endeavor was too expensive. Lucky for Google, good samaritans at the company have led efforts to compile the wage data. The New York Times acquired a spreadsheet created by Google employees that reveals that men are on average paid more than women at the company. It isn’t a comprehensive salary record, but it includes about 2 percent of Google’s workforce, featuring both salary and bonus information for 2017. Google spokesperson Gina Scigliano told Gizmodo that its own data shows, when you take “location, tenure, job role, level and performance” into account, that “women are paid 99.7% of what men are paid at Google.” Scigliano called the New York Times story “extremely flawed,” arguing that differences in location and employee performance can have considerable impact on compensation. However, it’s important to note that details on Google’s self-reported analysis remain vague, and should be taken with a grain of salt, especially since the company has not fully complied with the Labor Department’s request. The department sued Google in January for “compensation data, documents and requested information” in what it called a “routine audit of a federal contractor.” Then in April, Labor Department director Janette Wipper said in court that the organization “found systemic compensation disparities against women pretty much across the entire workforce,” the Guardian reported. At the time, the DoL requested additional compensation data and employee contact information. But one month later, Google said that the 500 hours and $100,000 it would have to spend to provide the Department of Labor with salary records and contact information was too challenging. DoL attorney Ian Eliasoph said that “Google would be able to absorb the cost as easy as a dry kitchen sponge could absorb a single drop of water,” the Guardian reported. A fair argument, given Alphabet, Google’s parent company, reached a $581 billion valuation as of May. The company also spent a cool £1 billion on its new London campus, fit with a swimming pool and massage rooms. Refusing to spend $100,000 on something arguably more important than a swimming pool raises some eyebrows. Over the last year, in connection with this audit alone, we’ve provided more than 329,000 documents and more than 1.7 million data points, including detailed compensation information, in response to OFCCP’s 18 different data requests. Beyond Google’s unwillingness to cooperate with the Labor Department’s latest demands, it’s worth pointing out that this isn’t the first employee-led spreadsheet aiming to spotlight pay gaps at the company. Former Google employee Erica Baker helped start one in 2015, and was cost her peer bonuses because of the endeavor. Google’s dumbfounding excuse to the DoL and the motivation for employees to craft such spreadsheets in the first place makes you wonder—has Google got something to hide?